First responders were called out to a home in the Flowing Wells area Thursday, April 4 after multiple gunshot victims were reported. Two children were found dead at the residence, and a 55-year-old woman was charged with two counts of first-degree murder. 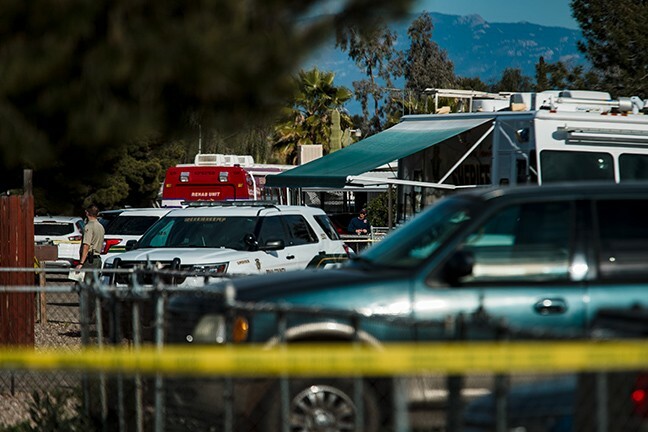 According to the Pima County Sheriff, Northwest Fire District personnel responded to a medical call near North La Cholla Boulevard and Ruthrauff Road at 2:30 p.m. on Thursday, April 4. Upon arrival, "they discovered an unresponsive adult female inside the residence. While providing medical care, they also discovered two children with obvious signs of trauma and determined they were dead. The female had symptoms of an apparent overdose and was transported to a local hospital." The victims were identified as 8-year-old twins, Jaden and Jorden Webb. Flood was the grandmother and guardian of the boys, as their mother is deceased. Both boys were autistic.